Please tell me that I am not the only person out there that likes to imagine she is laying in a meadow of wildflowers? No this is not some Twilight Fantasy. This is my epic clean laundry fantasy! So, take that 50 Shades of Gray! To me, there is nothing greater than cuddling up with sheets and blankets fresh out of the dryer, or putting on clothes that are still warm. And not just warm and clean from the dryer, they need to smell good too! How strong is the scent? You probably don’t want something that is strong enough to smell from 2 feet away or more. It can be great to not need perfume but you don’t want your clothes to smell so strong they make peoples eyes water. How harsh is the product? I have children and I am fundamentally lazy. This means that I don’t want to have multiple laundry routines. It’s bad enough when there are stains I have to treat. That said, being able to use a fabric softener or dryer sheet on all our clothes is a must! I’m sure we have all experienced the situation where you find a product you love to use and it goes AWOL. It’s like you came on too strong and it had to change it’s number. Or it’s a conspiracy with all the stores to stop stocking items once they gain traction just to show us how much power they have. Whatever the reason, it’s annoying and I can’t tell you how many times it’s happened with a scent I like in dry sheets. Before I became a Scentsy Consultant these were things that I had to think about. But in my starter kit there were Washer Whiffs. These are essentially salt crystals infused with fragrance that you add to you load of laundry on the wash cycle. The fragrance is then absorbed into your clothes. I had been curious about them before so I could not wait to try them. The great thing about Wash Whiffs, is that it is not a pre-measured amount. You can add as little or as much as you want. I started with a tablespoon and slowly worked my way up from there. I have now been using them for about 2 months and use 3 tablespoons per full load of laundry. This makes the laundry smell great but the scent is not overwhelming. The great thing is, the scent is still there when I take new towels out of the closet a week later! 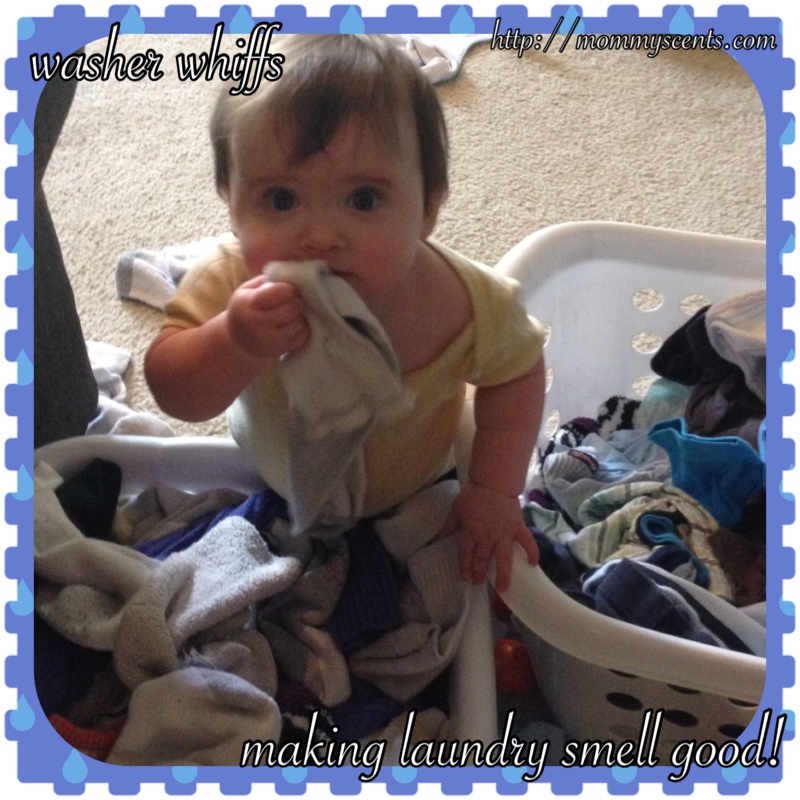 If you are looking for a great scent for your laundry that is gentle on skin and smells great the Scentsy Washer Whiffs are a great laundry companion. Available here or ask me to send you a sample!